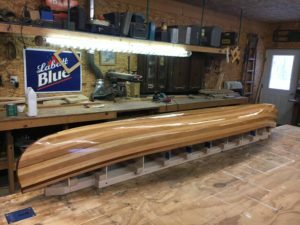 canoemodelkitsOur BlogUncategorizedTom from Rochester NY 96″ build! Tom from Rochester NY 96″ build! Tom Finewood from NY sent in a photo of his 96″ that he is building from our kit. Coming out great!